From December 2016 the Saturday timetable at Carlton will be improved to give the station an hourly service between Newark and Matlock like in the week. This does mean the station will lose the daytime direct trains to and from Lincoln. However there is a good chance that there will be a train mid-morning to Lincoln and 10.30am seems to be the favoured time by those who use the service. The other option is 9.30am so let East Midlands Trains know what time you prefer. It is alos hoped Carlton will have trains call on Saturday evenings. The 16.34 Lincoln to Leicester train will call additionally at Carlton from 17.23 on Mondays to Fridays, the same as it already does on a Saturday. It is now six months since we gained the hourly weekday service at Carlton station and numbers using the trains has steadily increased. The 08.08am service to Matlock is a popular train and on Monday, October 12, a record 29 passengers joined at Carlton. The 08.24 on the old timetable only averaged around 10 joining each day. From what I hear, evening services are also well used, but daytime passengers to Newark and Lincoln don’t seem to have increased much. Did you know you could get to the station on Chaworth Road? Not many people do. They also don’t seem to know that in a morning you can get a train direct to Liverpool. 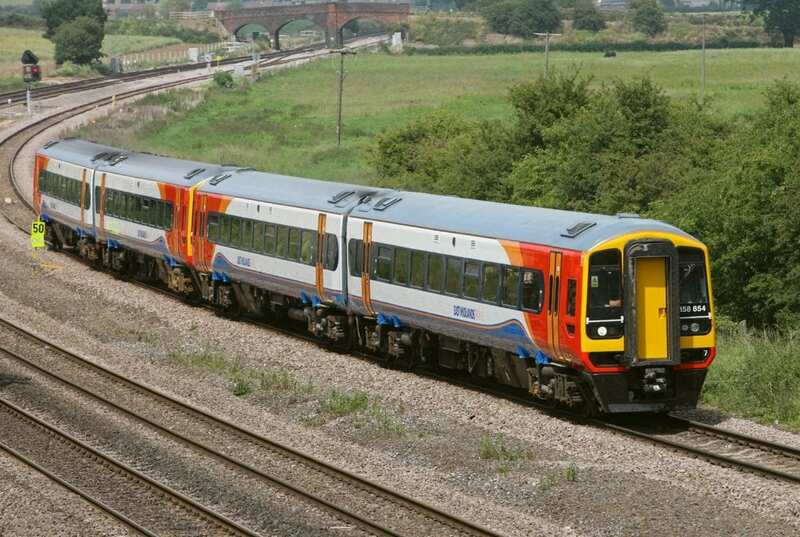 There is currently a campaign at Radcliffe-on-Trent to have an improved service from that station, and this has inspired a person locally who works in Radcliffe to start a campaign for extra trains at Netherfield. Nottinghamshire and Lincolnshire County Councils are also keen to have more trains at both stations. I have spoken to many people who said they would use the service if it was provided. After all, four minutes between the two stations compares favourably with up to 90 minutes by bus via Nottingham. Even by car at peak times it can take a long time. I’ll let you know in this column when the campaign is up and running. From December 3 to 6 extra trains will run direct from Carlton. Friday 4 at 09.58, 12.00 extended to Lincoln and 15.27pm. Extra return services leave Lincoln at 14.07 and 16.22. The usual service gives plenty of evening trains. On Saturday 5 there will be extra trains from Carlton to Lincoln at 09.14am, 11.14am, and 13.56pm. Extra returns ervices depart Lincoln at 14.56pm, 17.11pm and 19.00pm, which is the last train to Carlton. There will also be extra trains from Nottingham which will run to Lincoln non-stop and usually will run in front of the local train services. Local services will wind down from around 19.00pm on Christmas Eve and there are no trains on Christmas Day or Boxing Day. Normal services resume on Sunday, December 27 with a weekly service from Monday, December 28 until Friday, Nauray 1 inclusive. Trains will run every hour on New Year’s Day when buses do not normally operate. Off Peak fares will be available all day long and also between Christmas and New Year companies have special offers, so it’s worth checking out their websites.